Expo (or Universal Exposition) is the name given to large various public expositions held since the mid-XIX century; it takes place every five years and represents a very important opportunity during which all Countries, International Organizations and Cities participating, according to the topic assigned to each event, can share their own knowledge, compare the achievements and the adopted innovations, showing, thus, their propension to cooperation. The first edition is usually considered that one of 1851, held in London, and its success allowed other nations to hold similar events, such as the Exposition Universelle of Paris in 1889, also known because, for that occasion, the Eiffel Tower was built. The Bureau International des Expositions (BIE), created by a special international convention in 1928, is the governing body of International Expos and regulates the frequency and quality of the exhibitions. Each Expo has a particular leit-motiv of global concern. 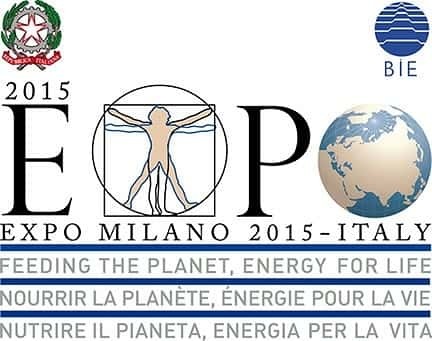 The theme chosen for 2015 Milan Universal Exposition is "Feeding the Planet, Energy for Life": a long-winded theme which includes everything related to food, such as the problem of hunger in parts of planet, nutritional education and issues relate to GMOs. The attention will be focused on the right of a healthy, safe and sufficient food for all the inhabitants of the world, in the light of new global scenarios. 2015 Milan Expo's logo is the famous "Vitruvian man" by Leonardo Da Vinci: the representation of the ideal proportions of the human body, simultaneously inscribed in a circle and square and, in few words, the symbol of man at the center of the dynamics of the planet.